Before we know it the warm weather will be over and there will barely be a SUP in sight. If you love having the whole river to yourself this could be a good thing!! Winter is my favourite time to paddle and I hope to inspire fair weathered paddlers to get more mileage out of your SUP boards! 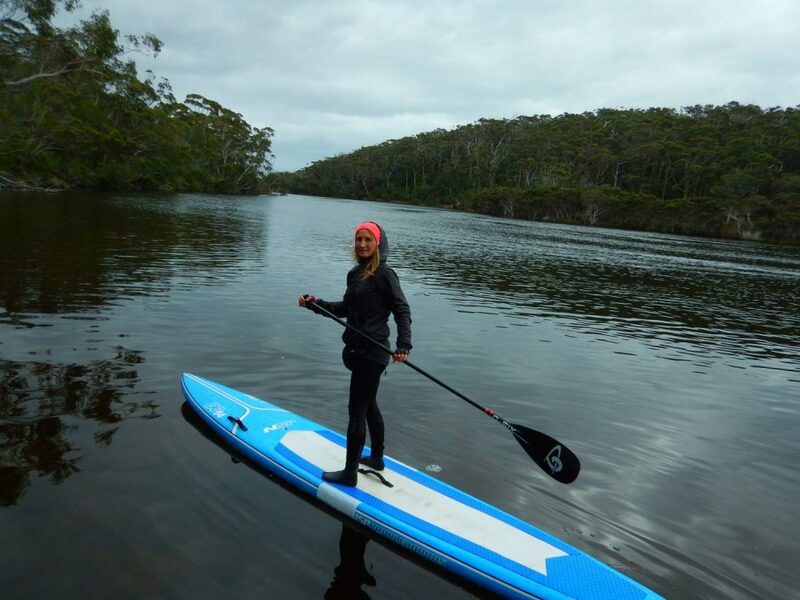 The great thing about stand up paddle boarding is that you can pretty much paddle all year round in most conditions and winter is no exception. The hardest part of course is getting up out of bed but it’s worth it! During winter the wind levels usually drop and the water is often glassy like a mill pond. The landscape is lush and who can deny the beauty of those misty mornings. It’s majestic, mysterious and entices introspect and contemplation. For those who are spiritually aware (and even if you’re not) these moments can be a form of meditation…pure Zen. If you’re a lone paddler it’s a perfect time of the year for some solitude. Other benefits of paddling in winter – there is usually less boat traffic, more parking available and less risk of sunburn! One question I always get asked is what to wear when supping in winter? It’s only natural to want to get rugged up but you will warm up pretty quickly and wearing heavy clothing will be uncomfortable and cumbersome. Leggings, rashie or long sleeve T-Shirt, light weight spray jacket, good pair of booties, cycle gloves and of course a beanie! That should be all you need. Oh and keep a pair of uggies in the car for the end of your SUP…seriously nothing better that toasty warm feet after a winter paddle. So… go solo or grab some buddies and check out our locations page for some new places to launch your board. Members of our social group often arrange to paddle somewhere for breakfast or coffee so feel free to join our “SUP Tonic Members” facebook group and hook up with other winter SUP Rats as we are affectionately known!